In 2009, we were donated a small quinta, or property with fruit trees in the countryside. The CRHF have been developing this farm as we learn little by little about what to do with it. The Finca has been a wonderful retreat and safe site for living for Nela and Jonathan, two of our former street kids. As they learned to run a farm, this couple became more and more healthy and sure of themselves and are now living a fairly stable and normal life. 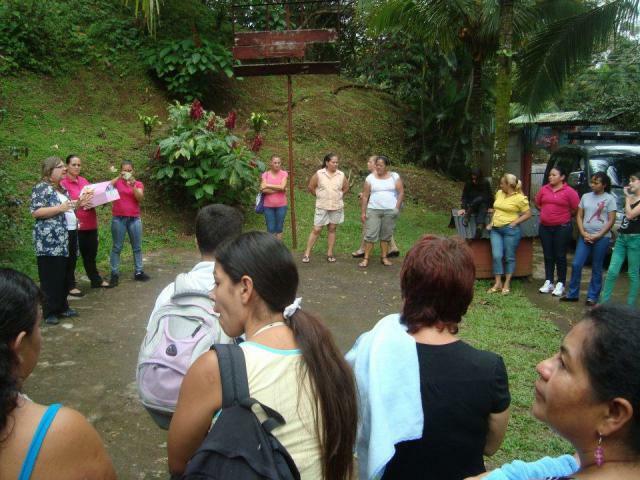 They hosted many groups from la Carpio so they could have a day in the country to swim in the river, explore the area, cook outdoors and generally share their joys and difficulties. Volunteers working at the finca participate as well by helping to create infrastructure, plant and care for animals. Our sponsored child, Keyla, who is Nela’s daughter, enjoyed spending weekends at this sweet place as she also learned to care for nature. Both are now currently living together as Nela takes her next step towards independence in the Northern zone of San Carlos. In 2015 a new vision of what the Finca could evolve into is started with the assistance of Maria and Francisco. With the ever increasing demand to make a more sustainable interaction between humans and the world, the CRHF is working towards making a completely carbon neutral self sustainable permaculture farm, which will be used as an example for visitors.